Are you afraid to curl your short hair because it never seems to come out looking right? Not only should you be able to conveniently curl your short hairstyle but you should also be able to do it with variety. That is exactly what many users of the xtava Twist Curling Wand say they get with this device. It’s supposed to effectively make small and medium-size curls that last a long time on those with short hair. If this interests you then read along with us as we take the time to review this xtava curling wand. This is among the most versatile curling irons for short hair that you will ever come across. A large part of that is due to its nicely tapered ¾ to 1¼ inch barrel. It will allow you to make such curls as tight, springy spirals or looser, beachy style medium curls. The barrel is not only tapered but it has a ceramic tourmaline coating on it also. This is great because it eliminates damaging hot spots and the nuisance static electricity that causes flyaway hairs. The xtava Twist Curling Wand also allows you to choose from a wide variety of temperature settings. They are 22 in all. These include settings from 200°F – 410°F. The all-digital readout and heat setting is one of the nicer features found on the xtava Twist Curling Wand. It even comes with a 9-foot power cord with attached swivel end that will allow you much freedom of movement when using it. 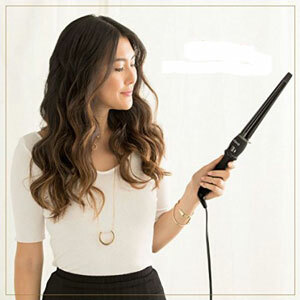 This curling wand also has a built-in safety shutoff, a protective cool tip and it comes with an included heat-resistant glove. We really like the fact that the xtava Twist Curling Wand has such a large variety of heat settings. Not all short hair is the same type and it takes different temperature settings to handle fine, thin, coarse, medium and thick types of short hair. 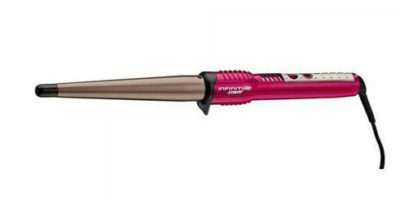 With 22 different heat settings, this curling wand has you nicely covered when it comes to temperature. Its tapered barrel is a big asset too. The smaller ¾ to 1¼ inch size tapered barrel allows you to be able to effectively wrap even real short hair around the barrel. That is so important for being able to put the type of curls that you want in your short hair. The xtava Twist Curling Wand comes with an acceptable two-year warranty which is about standard for a curling wand in its price range. This interestingly designed curling wand is not without its drawbacks either. Don’t get us wrong because we like tapered wand style curling irons for the most part but they have one big drawback. That is they don’t have spring clamps. Spring clamps come in really handy when curling short hair because it’s so hard to hold your hair on the curling wand when wearing a protective styling glove. 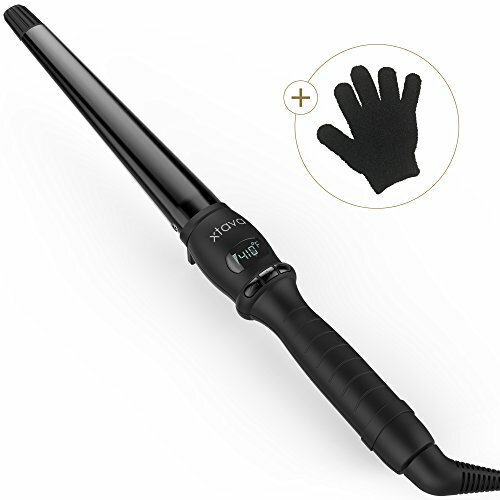 Speaking of which; many users of the xtava Twist Curling Wand claim that you can still feel the heat from the barrel even when wearing the included protective glove. It’s not very good quality. 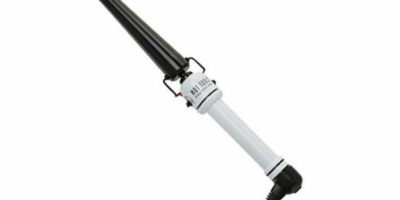 We are all in agreement that we really like this curling wand from xtava. Not having a spring clamp can cause some headaches but most of these are easily trumped by its large variety of heat choices and its nice ceramic tourmaline coated barrel. When you factor in such features as its smaller ½”-1” tapered barrel and all digital control settings, we definitely think it’s a curling iron worth considering when you are looking for one to use on your short hair.